One of the best features of San Diego as a vacation destination is the countless number world-renowned attractions that offer adventure, thrills, education and engagement for your family. For those of us lucky enough to live here, especially with children, every weekend or holiday poses a dilemma of choosing which attraction to explore. From the Zoo that made San Diego world-famous, to close encounters with Shamu, there’s some serious voting and lobbying that goes on in our house when deciding what to do on a gorgeous San Diego weekend. 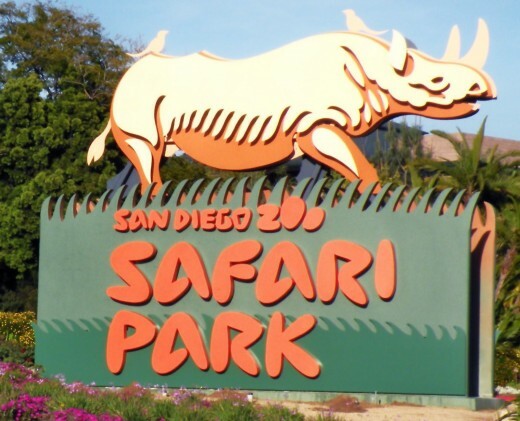 One attraction that often wins out on these debates is the San Diego Zoo Safari Park (formerly known as the San Diego Wild Animal Park) and as a member of the San Diego Zoological Society, our annual pass gets us in. February and March are great months to explore the park, when the temperatures are still mild and the animals are quite active. Located 30 miles northeast of downtown San Diego in the beautiful San Pasqual Valley in Escondido, the drive out to Safari Park is always a treat. Taking in the gorgeous mountain views and wide open vistas, the journey there serves as a precursor to the Safari adventure ahead. The sheer scale of the park alone is impressive. Situated on a 1,800-acre preserve, wild animals roam free over vast expanses as they would in their native habitats of Africa and Asia. Upon our arrival, we always beeline to the African Plains first, for the Journey into Africa Tour. Hopping aboard an open-air tram, this Safari tour bring us at eye-level with exotic animals like white rhinoceros, Cape buffalo, Roosevelt’s gazelles and African crowned cranes. The ride is quite long too, lasting 30 minutes, which takes you around the perimeter of the park’s three expansive African field enclosures: Lion Camp, Heart of Africa and Nairobi Village. This ride is free with park admission and is a great way rest your feet while observing the animals. Seeking some thrills? 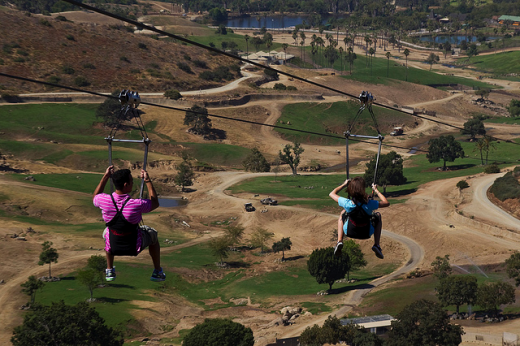 Why not fly 400 feet across the park at speeds up to 60 mph on the Flightline zip-line. You’ll need to make reservations, as the 1.5-hour experience features a training lesson, behind-the-scenes narration and an aerial adventure that soars across the Asian and African field exhibits. It’ll cost you $70 per person on top of park admission, but the experience is well worth it. 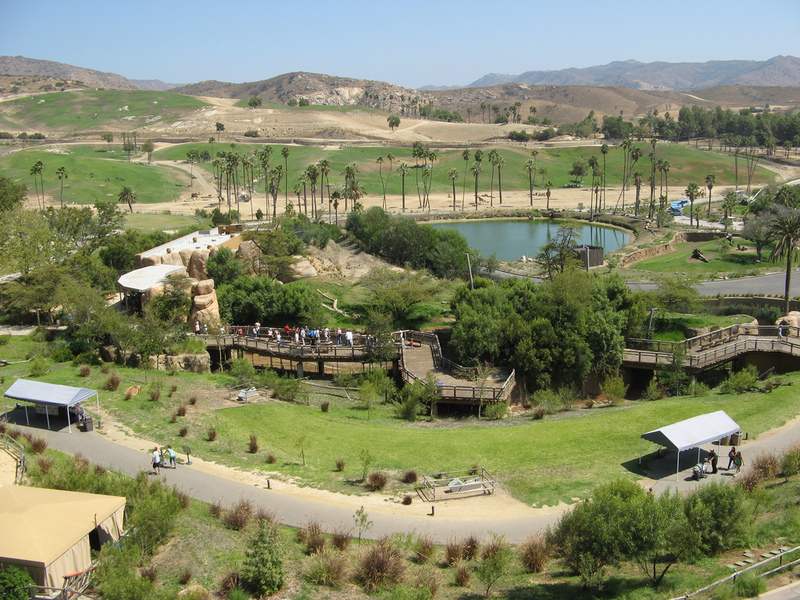 In addition to the various Safari rides that get you up close to the animals, Safari Park features plenty of exhibits to walk around, like the Elephant Overlook, Lorikeet Landing, and Hidden Jungle. Many of these exhibit house endangered species in enclosures that mimic their natural habitats, and offer visitors an intimate encounters with these magnificent animals. What’s your favorite Safari Park encounter? 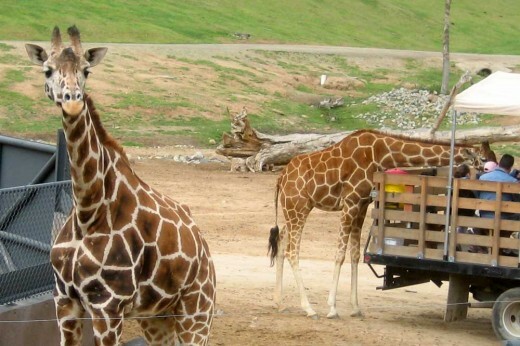 This entry was posted in Attractions, Family Vacations, Tours & Sightseeing and tagged Flightline, safari park, San Diego Wild Animal Park, san diego zoo, san diego zoo safari park by Aki. Bookmark the permalink. It is awesome to fly over the Zoo animals. It is not only thrilling but also a new enjoyable experience too. I will go right to the elephants!!! !